[Updated 7/14/16, 5:34 pm. See below.] Mequon, WI-based Titan Spine says it’s raised a “substantial” round of funding from Southlake, TX-based Southlake Equity Group. The surgical implant maker says it will use some of the money to ramp up sales of its devices already on the market and support the launch of a new product line. 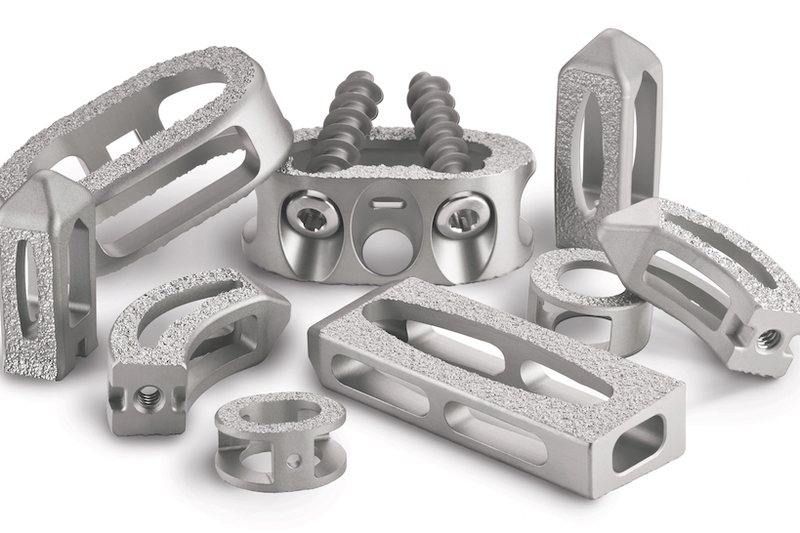 Titan’s flagship product line, known as Endoskeleton, is made up of titanium cages of various shapes and sizes for spinal surgeons to use when operating on patients. Specifically, the company’s devices are made for procedures in which patients afflicted with degenerative disc disease have vertebrae in their lower back or neck fused together. The Endoskeleton implants that are currently available for purchase have a coarse, grooved surface on their sides. Ullrich has said this texture is designed to trigger the production of proteins associated with bone formation more effectively than smooth titanium and polyetheretherketone (PEEK), a plastic material that is also used to make spinal fusion implants. Titan is also getting ready to push implants into the market featuring a more advanced version of its surface technology, called nanoLOCK. Last year, Titan received clearance from the FDA to begin marketing nanoLOCK products. Earlier this week, Titan said in a press release that the U.S. Centers for Medicare & Medicaid Services had created a new medical billing code for “a nanotextured surface on an interbody fusion device,” and that nanoLOCK is the only product that has been approved to use the code. The implantable medical device industry has hit some rocky patches in recent years, including a fraud alert issued by the federal government in 2013 about physician-owned distributorships—intermediaries between medical device manufacturers and hospitals. These businesses are controversial because the doctors get a cut of the sale of implantable devices used in procedures that they perform on their patients, although Titan has said it doesn’t sell products through any physician-owned distributors. Industry analysts have told Xconomy that some insurers have been hesitant to cover spinal implant surgeries, due in part to a lack of clinical trial data showing that these procedures are consistently beneficial for patients. In January of last year, Titan said it planned to start enrolling patients in a 150-person, multi-site clinical trial, though the results from that study weren’t due for two years, and (unlike in the drug industry) Titan isn’t required to have a successful clinical trial to sell its products.